If you enjoy train journeys you will know that Switzerland is home to some of the most scenic rail journeys in the world including the Jungfraubahn railway to the highest station in Europe – Jungfraujoch Top of Europe. The Jungfrau region stretches from Interlaken to the Jungfrau mountain range to the south. The area is a UNESCO World Heritage Site and views of the Eiger, Monch and Jungfrau mountains will take your breath away! There are also many beautiful Alpine towns and villages to visit including Grindelwald, Wengen, Murren and Lauterbrunnen. If a trip to the “Top of Europe” on the Jungfraujoch railway is on your Switzerland itinerary or you are considering adding it to your Swiss rail travel plans this post will give you all the information you need to have a fabulous trip. 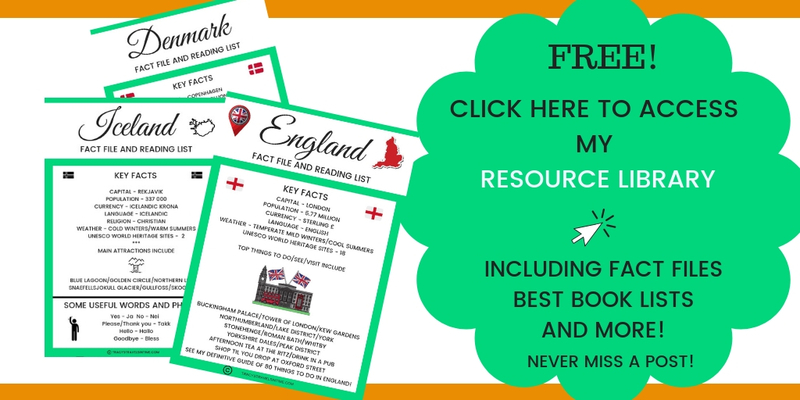 You will also find information about other beautiful train journeys to take in Switzerland at the end of the post. The cogwheel trailway track which will take you to the top of Jungfraujoch was completed in 1912 and is open all year round. It attracts over half a million visitors every year who want to enjoy the scenic beauty of Switzerland without having to literally climb a mountain to see it! Begin your Swiss train journey at Interlaken Ost station. 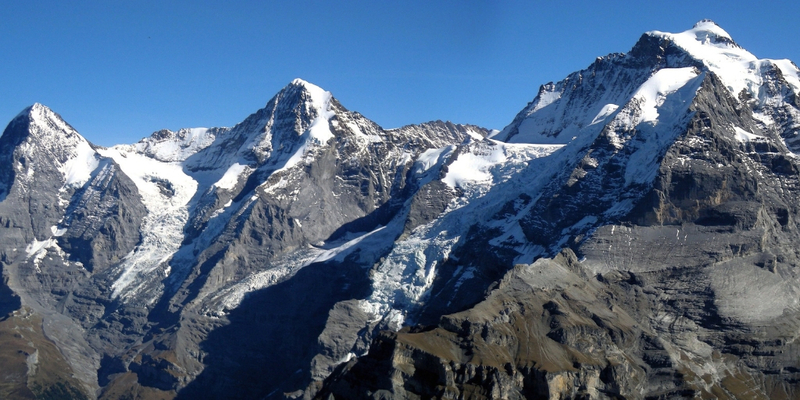 There are two routes available to Jungfraujoch – via Lauterbrunnen or Grindelwald. As we chose the route via Grindelwald that is the one I discuss in this post. It takes the same length of time (approximately 2 hours) to travel the route and the costs are the same so it is up to you which route you take. TOP TIP – The train splits at Zweilütschinen with some parts of the train going to Lauterbrunnen and the others to Grindlewald so make sure you are in the right carriages! The first part of the leg from Interlaken Ost Station to Grindelwald takes 35 minutes. The trains are modern and work their way up through the valley to the lovely Swiss village of Grindelwald located at 1000m. Once you arrive at Grindelwald alight the train and directly opposite you will find your next train which will take you to Kleine Scheidegg at approximately 2000m. This part of the journey is on the cog wheel train. Enjoy the stunning views of the valley and snow capped mountains as you climb. If you choose the perfect day with sun shining and skies bright blue the view is truly spectacular. The journey takes approximately 30 mins to Kleine Scheidegg. On arrival at Kleine Scheidegg you will again find the next train waiting on the opposite platform. The efficiency of the Swiss transport system is second to none. 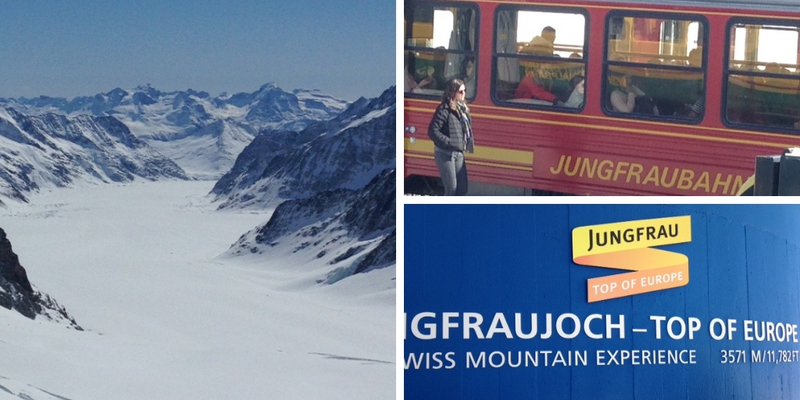 The Jungfrau cog wheel train and takes you on the last stage of your journey to the amazing height of 3400m. Inside the train you will hear a commentary explaining how the route came about and the hard labour that was involved as well as the many men that lost their lives – an awesome engineering feat. The train continues up the mountain through a 7 km long tunnel which was excavated through the rock of the Eiger and Monch Alpine peaks. The train stops at the half way station for 5 minutes. This will give you just enough time for a quick photo session and a peer through a window in the north face of the Eiger. Another amazing engineering feat are the windows cut into the mountainside which give you an amazing view. Once back on board the train it continues to the top of Jungfrau for another 9.3km with a maximum incline of 25%. This takes approximately 50 minutes. Once you reach the top at Jungfraujoch train station you may find it hard to comprehend how they built this railway track and station on top of the mountain! We certainly did! There are all sorts of things on the top of Jungfrau. You will find restaurants, shops, a museum and even the Jungfraujoch ice palace. It even has its own fire service too! Take the lift up the Sphinx observatory and observation deck. This is the highest point where the weather station is located. From this point the views are unbelievable. When we visited we spent approximately two hours wandering around and taking in the beautiful views . We had the added bonus of beautiful clear weather. You may also see experienced walkers climbing even higher to another peak in the brilliant sunshine. TOP TIP! 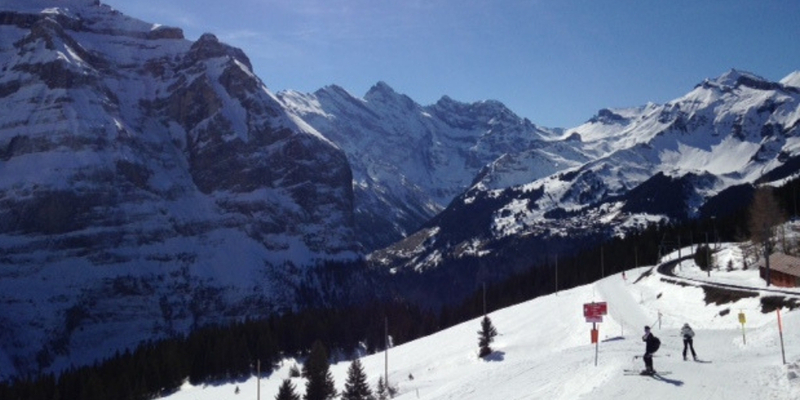 On your return alight at Kleine Scheidegg and head to the other side of the valley towards Wengen and Lauterbrunnen. 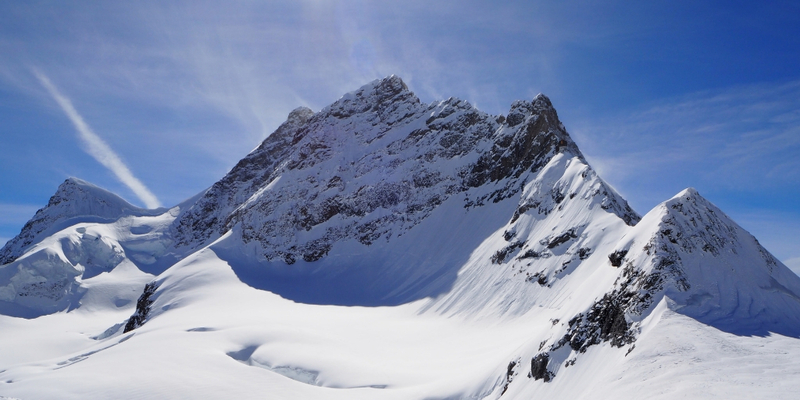 This will give you a different perspective of Jungfraujoch. It is not cheap to travel to the Jungfraujoch on the Top of Europe train line. Full fare costs are available on the official Jungfraujoch website . 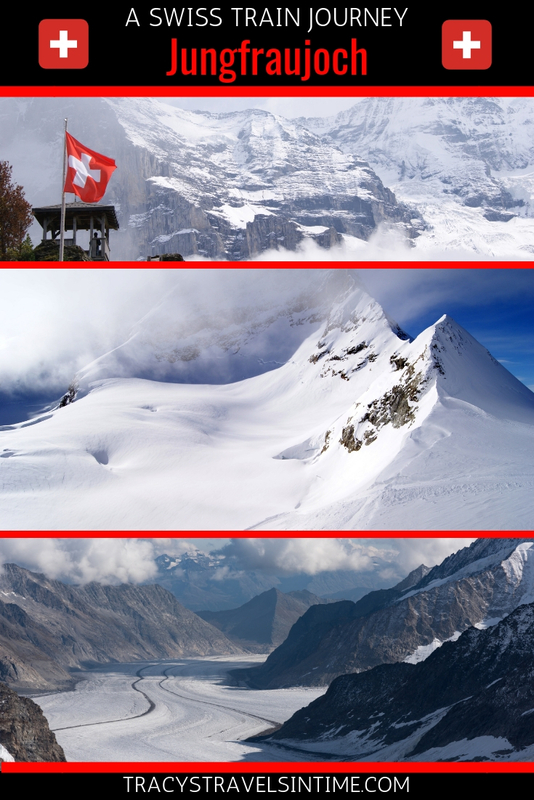 You will also find the Jungfraujoch webcam on their site so you can check out weather before you go! There is no need to make a seat reservation on the train when you buy your Jungfraujoch tickets just make sure to arrive at the station early during the peak summer months! The journey planner on the Swiss Federal Railways (SBB) website is also worth using to help plan your visit and check out the Jungfraujoch train schedule. I would recommend buying your Jungfrau tickets on the day (or as close to it as possible) to ensure that you ascend on a clear day. It is a lot of money to pay to only see clouds or fog if the Jungfraujoch weather is not good. There are discount deals available if you have a travel pass – for example the Swiss railway pass or Swiss Half Fare card. There are also reductions for Eurail card holders. If you are a European resident I would consider buying an Interail one-country pass for Switzerland which gives you unlimited travel for a specific number of days in one month on the Swiss rail network. If you are in Interlaken this 7 hour excursion to Jungfraujoch includes transport to Grindelwald via coach where you will then alight the cog railway to the Top of Europe. During the descent you will pass the holiday resort of Wengen and stop at Lauterbrunnen, where the coach awaits for your return trip to Interlaken. This 10 hour tour includes a ride on the cogwheel train to witness those stunning views of the Eiger, Mönch and Jungfrau peaks. Also visit the Sphinx Observation Terrace for expansive views of the Aletsch Glacier and walk through the tunnels of the Ice Palace into the heart of the glacier! I want to do this trip – don’t fancy the bloody nose though! Yikes! !